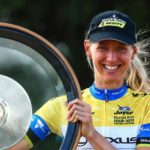 Their new kit is glowing bright, and according to a pair of key Australian riders, so too is EF Education First Pro Cycling’s ambition to take out the title at this year’s Jayco Herald Sun Tour. 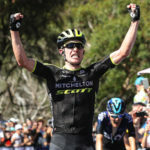 NSW born Lachlan Morton has ridden Australia’s oldest stage race previously and says the tour caps off a great Summer of Cycling where their team are aiming to lift the silverware. “The last [race] of the Australian block of racing is fantastic, so I’m super excited, it’s a big part of Australian cycling. We will go there and try to win it, Woodsy (Mike Woods) is in amazing form, Arthurs Seat might really break it open and we are going in there to try to win the thing,” said Morton. The man with the magnificent moustache – EF Education First road captain Mitch Docker agrees, but also says they have a variety of options. The wonderful 2019 course will offer something for everyone, with Morton knowing there will be no days for cruising. “The are no easy roads in Gippsland – the race previously has been won in breakaways and it’s one of those races where you always have to be on your toes. 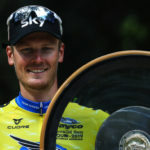 “I remember in 2014, we had the lead and in one stage the whole thing got turned on its head so in any day you can win or lose it,” said Morton. Morton boasted about the standard of race, rider and route. The new kit is already a big winner, with the hot pink visible wherever the team sit in the peloton, and set to be an easy spot for fans lining the Jayco Herald Sun Tour roads. The 32-year-old Docker has worn an array of livery over his decorated career, and claims the pink/blue combination is ‘awesome’. 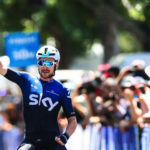 Make no mistake though, their efforts will be much more than symbolic as they take on the likes of Mitchelton-Scott, Trek Segafredo and Team SKY who have their last hurrah in Australia, keep an eye out for the flying flouro colors.